Supporting Future Social Service Practitioners - Social Entrepreneurs, Inc. The Human Services Network (HSN) hosted its 30th Annual Human Services Award brunch earlier this week. As part of a standing tradition, SEI staff attended the event to share in the celebration of local social service practitioners and organizations. SEI is proud to support HSN and help honor the hard work of all of the folks in the room. We are particularly excited to be able to take part in the portion of the event that honors future social service practitioners through the Student Volunteer of the Year Award. In 2016, SEI celebrated 20 years of service by committing to offer a $1,500 scholarship to winners of this award. 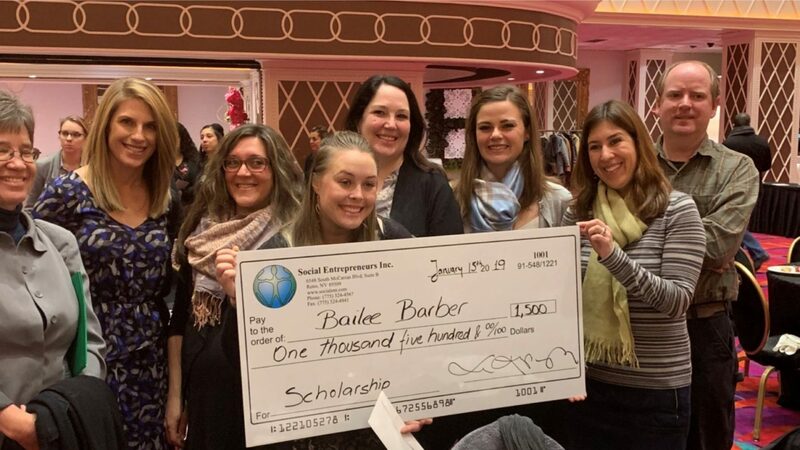 Congratulations to the 2019 Student Volunteer of the Year winner and SEI scholarship recipient, Bailee Barber!